The TB7100 is a compact, cost-effective base station/repeater for use as a line-controlled base, talk through repeater, RF modem, data repeater or with TaitNet TN1100 MPT 1327 trunking system. The TB7100 is the only base station/repeater on the market with optional internal power supply and internal duplexer in a slimline 1U format. This makes the TB7100 easy to transport and install; an ideal choice when space for your RF equipment is limited. A cost-effective repeater for single site applications such as industrial or campus sites, shopping malls, hotels, small taxi or bus fleets. Add a T1810 channel controller to create a low cost TN1100 trunked system, ideal for mine or industrial applications, ports and railway stations, building sites, security and maintenance services. Supports both 12/19.2kbps Tait High Speed Data (THSD) and 1200/2400 baud FFSK as standard. The TB7100 can be configured as a data repeater or RF modem an is fully compatible with the TM8000 range of mobile radio equipment. 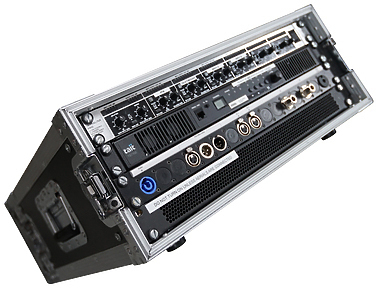 Hire the Tait TB7100 UHF Base Station from Procam. Best service and rental rates for the Tait TB7100 UHF Base Station and all cameras, lenses, sound, lighting and grip.